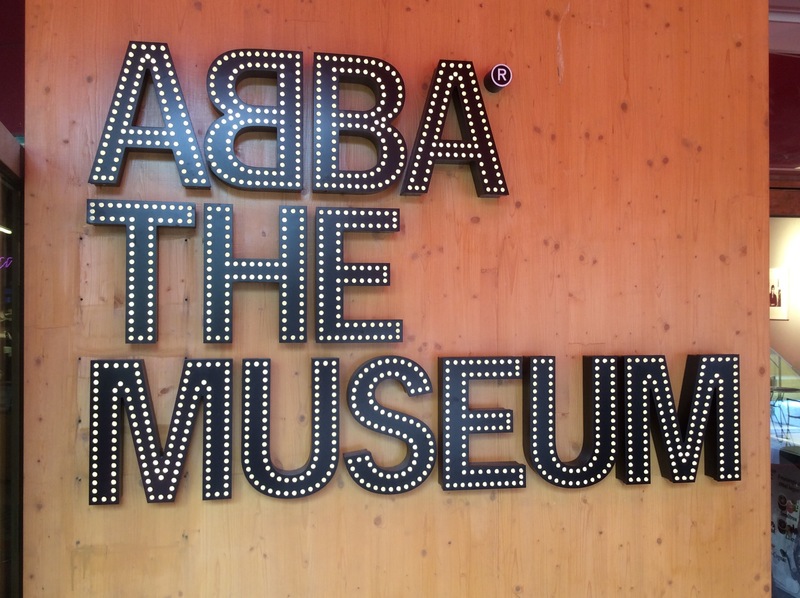 On Thursday we spent the day in Stockholm which is the capital of Sweden. 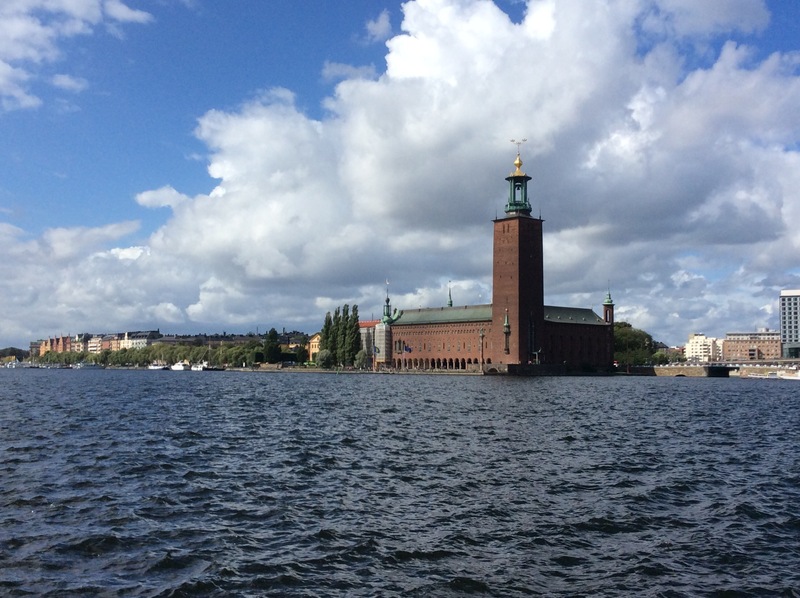 It is made up of about 24,000 archipelagos or islands so the sail into Stockholm was quite a sight. It took us over two hours to sail through all the islands before we docked at Stadsgarden. Stockholm, the city, is spread across 14 distinct islands on the coast in the south-east of Sweden at the mouth of Lake Mälaren. Stockholm is the most populous city in Scandinavia, with 905,184 people living in the city with about 2.2 million living in the metropolitan area. The region has been inhabited for many centuries, but it was not until the middle of the 13th century that Stockholm was officially established. It developed as a commercial centre under the rule of Denmark. In the 16th century Danish rule was overthrown and Gustav I Vasa became king of Sweden with Stockholm at the centre. 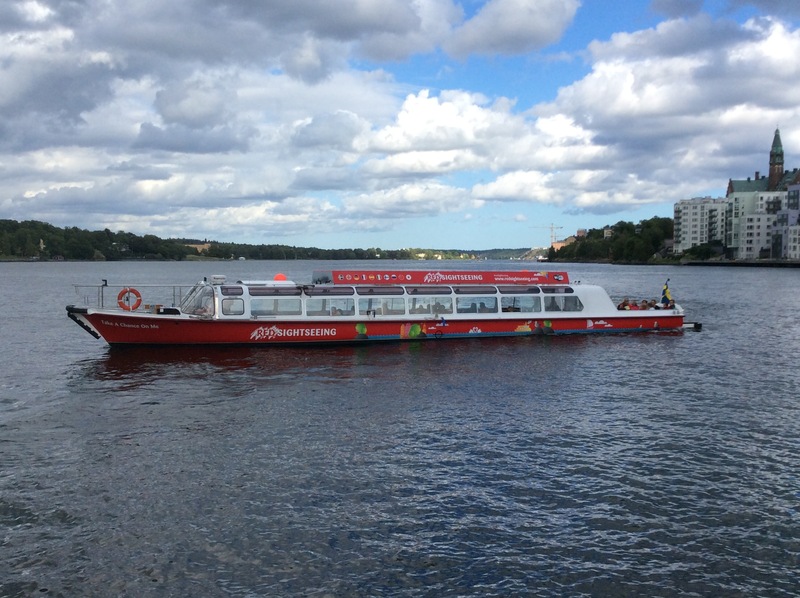 We decided to do a hop on hop off boat tour of Stockholm. First stop was the Vasa Museum. 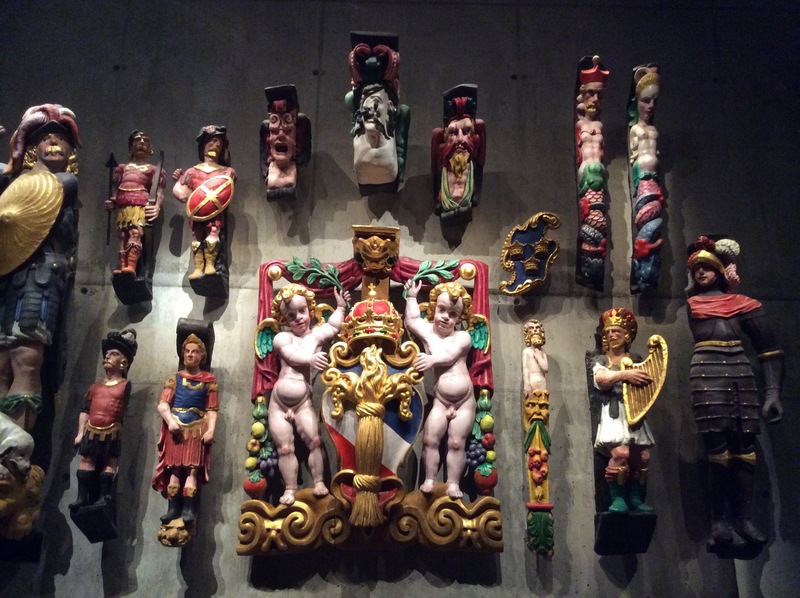 The Vasa Museum is a maritime museum which is located on the island of Djurgården. The museum displays the only almost fully intact 17th century ship that has ever been salvaged, the 64-gun warship Vasa that sank on her maiden voyage in 1628. 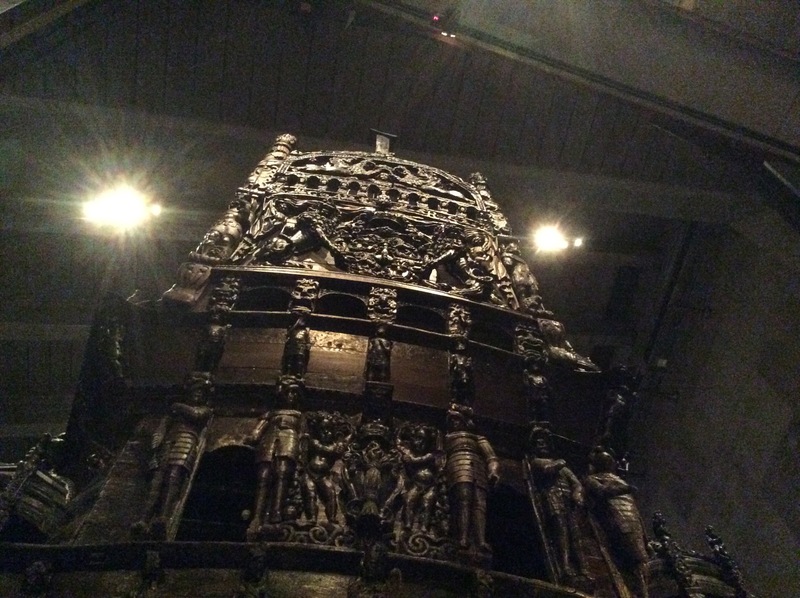 The Vasa Museum opened in 1990 and, according to the official web site, is the most visited museum in Scandinavia. Together with other museums such as Stockholm Maritime Museum, the museum belongs to the Swedish National Maritime Museums. Vasa is a Swedish warship built 1626–1628. The ship foundered and sank after sailing about 1,300m into her maiden voyage on 10 August 1628. 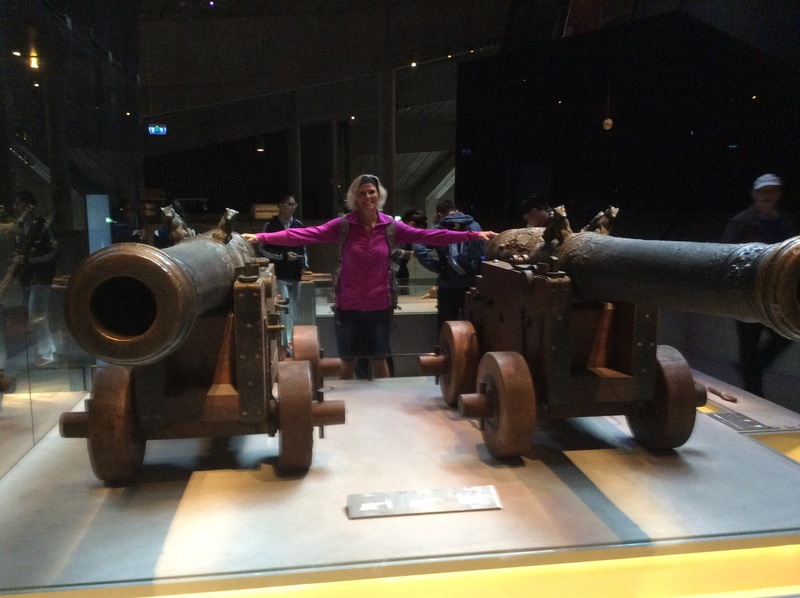 She fell into obscurity after most of her valuable bronze cannons were salvaged in the 17th century until she was located again in the late 1950s in a busy shipping lane just outside the Stockholm harbor. Salvaged with a largely intact hull in 1961, she was housed in a temporary museum called Wasavarvet (“The Wasa Shipyard”) until 1988 and then moved to the Vasa Museum. The ship is one of Sweden’s most popular tourist attractions and has been seen by over 29 million visitors since 1961. 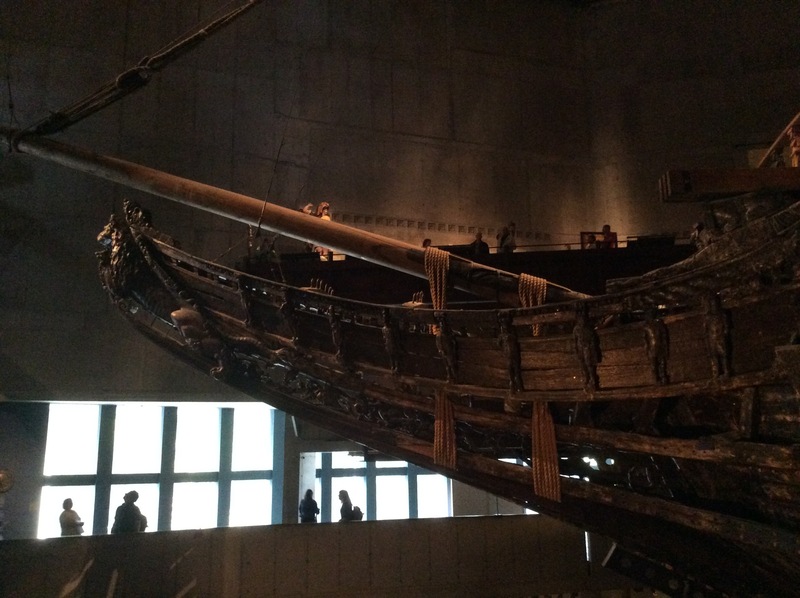 Vasa has, since her recovery become a widely recognized symbol of the Swedish “great power period”. The ship was built at the order of the King of Sweden, Gustavus Adolphus as part of the military expansion he initiated in a war with Poland-Lithuania (1621–1629). It was constructed in Stockholm at the navy yard under a contract with private entrepreneurs in 1626–1627 and armed primarily with bronze cannons cast in Stockholm specifically for the ship. It was richly decorated as a symbol of the king’s ambitions for Sweden and himself, and upon completion was one of the most powerfully armed vessels in the world. Vasa was dangerously unstable however, due to too much weight in the upper structure of the hull. Despite this lack of stability she was ordered to sea and foundered only a few minutes after encountering a first wind stronger than a breeze. The order to sail was the result of a combination of factors. The king, who was leading the army in Poland at the time of her maiden voyage, was impatient to see her take up her station as flagship of the reserve squadron at Älvsnabben in the Stockholm Archipelago. At the same time the king’s subordinates lacked the political courage to discuss the ship’s structural problems frankly or to have the maiden voyage postponed. 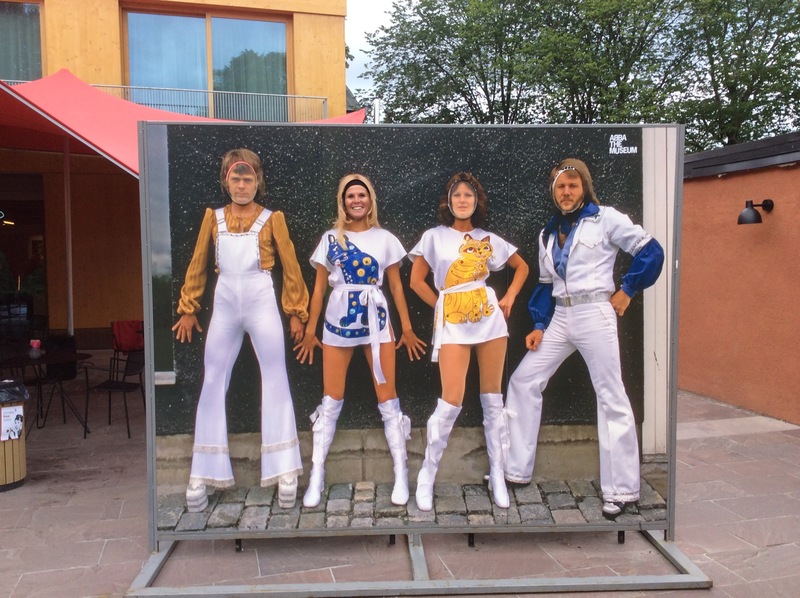 An inquiry was organized by the Swedish Privy Council to find personal responsibility for the disaster, but in the end no one was punished for the fiasco. During the 1961 recovery, thousands of artifacts and the remains of at least 15 people were found in and around the Vasa’s hull by marine archaeologists. Among the many items found were clothing, weapons, cannons, tools, coins, cutlery, food, drink and six of the ten sails. The artifacts and the ship herself have provided scholars with invaluable insight into details of naval warfare, shipbuilding techniques and everyday life in early 17th century Sweden. It was back on the boat to visit the Queen at the Royal Palace. The Stockholm Palace is the official residence and principal workplace of the Swedish monarch, while the Drottningholm Palace, a World Heritage Site on the outskirts of Stockholm, serves as the Royal Family’s private residence. 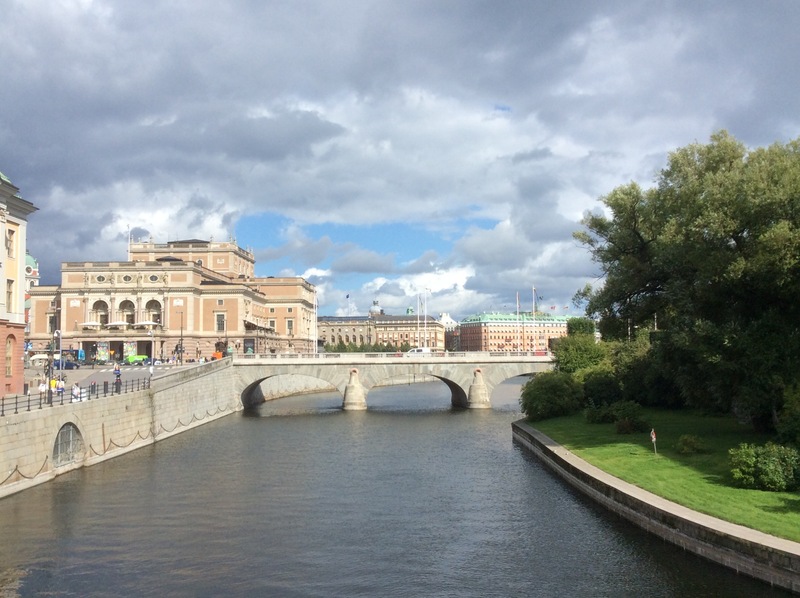 The Stockholm Palace is the largest palace in the world with 680 rooms. 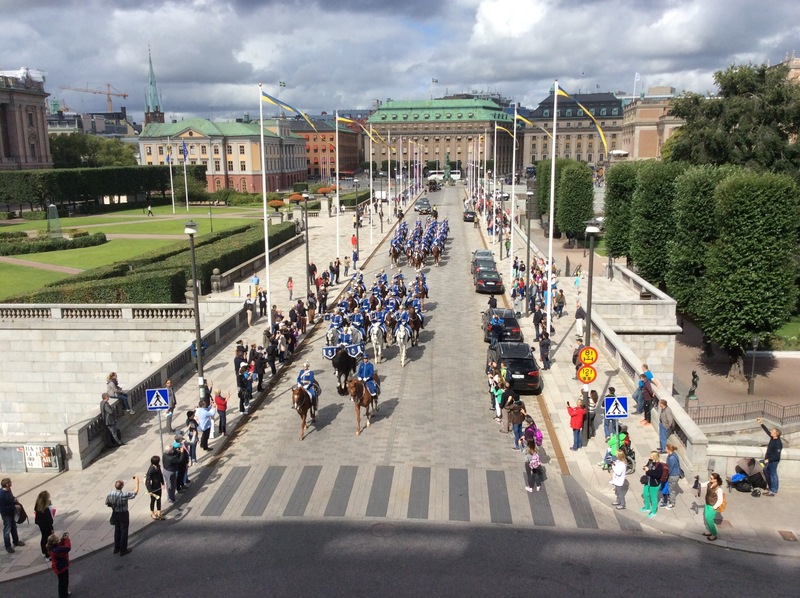 The Swedish monarchy is one of the oldest in the world and is firmly rooted in a parliamentary democracy. 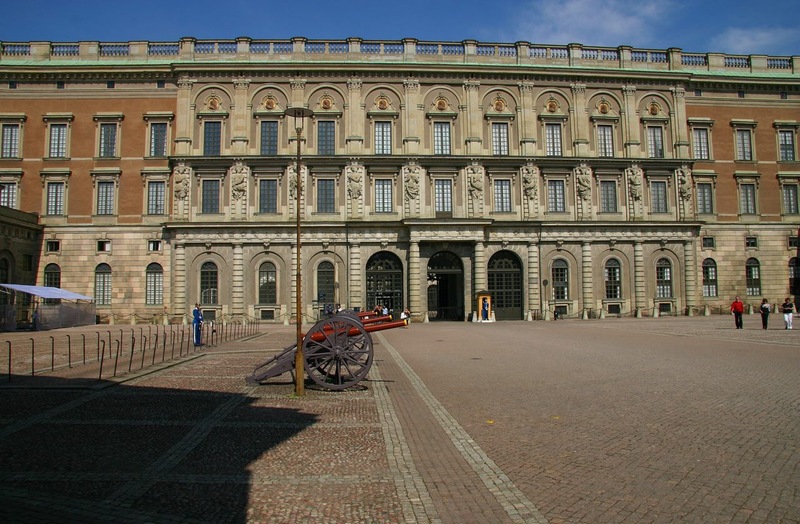 Swedish monarchs date back a thousand years and have belonged to eleven dynasties, with the current one, the House of Bernadotte, ruling the longest. Jean Baptiste Bernadotte was the first Bernadotte on the Swedish throne. He was born in France in 1763 and was named heir to the throne in 1810. His name as king was Karl XIV Johan. The Swedish royal family is related to all the reigning royal courts of Europe. The House of Bernadotte, the current royal house of Sweden, has reigned since 1818. Between 1818 and 1905, it was also the royal house of Norway. Its founder, Charles XIV John of Sweden, was adopted by Charles XIII of Sweden, who belonged to the House of Holstein-Gottorp which was becoming extinct. The current Swedish Royal Family consists of King Carl XVI Gustaf and Queen Silvia. The king and queen have three children: Crown Princess Victoria Ingrid Alice Désirée, Duchess of Västergötland, born on 14 July 1977; Prince Carl Philip Edmund, Duke of Värmland, born on 13 May 1979; and Princess Madeleine Thérèse Amelie Josephine, Duchess of Hälsingland and Gästrikland, born on June 10, 1982. They are regarded as a very modern monarchy and are popular with the people. They have a changing of the guard at 12pm each day so we were just in time to see that. 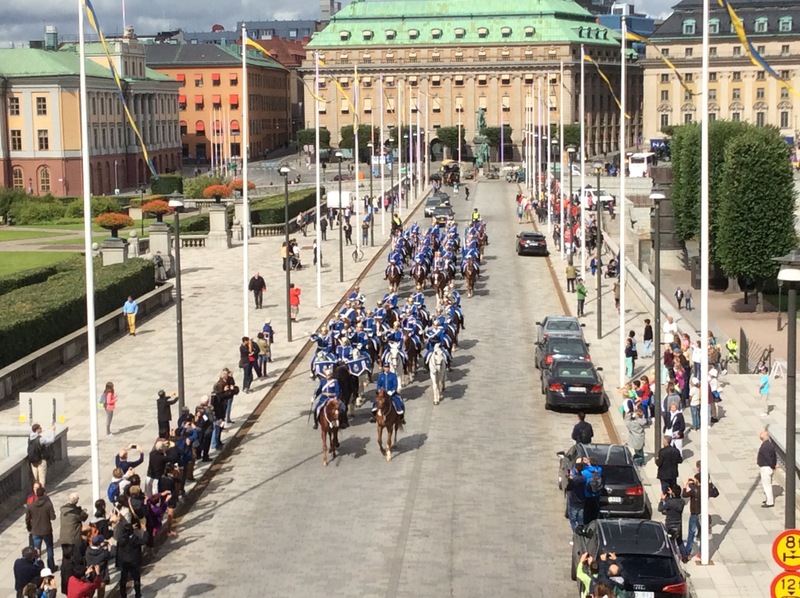 The horse mounted brass band leads the procession through the streets around the Palace into the courtyard where they then go through the ceremonial changing of the guard. By the time we got up to the courtyard the crowd was about 8 deep so it was quite hard to see but we got the gist. 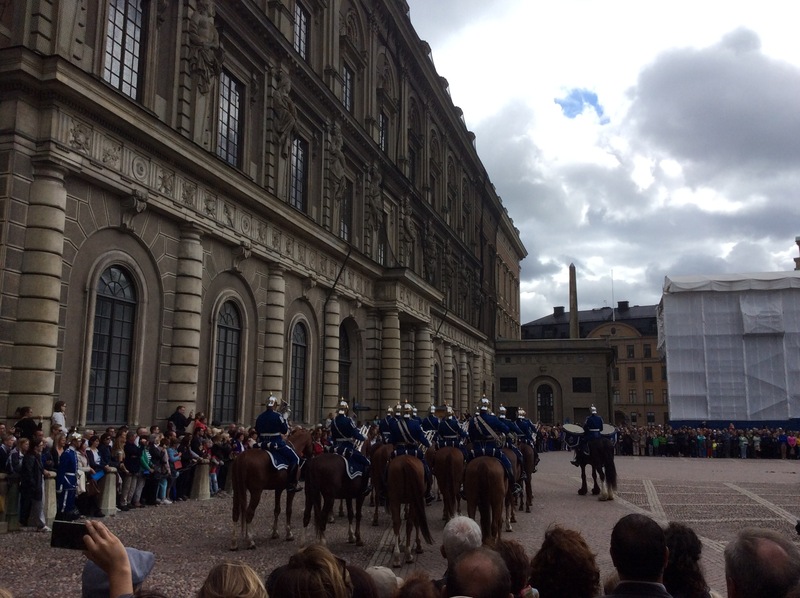 I liked the colour of the guards uniforms – a dark royal blue. We then had a wander through the old town, Gamla Stan. They are really into icecream – I would have thought it was too cold but it was very popular with all the tourists. We then went to see the City Hall where the annual Nobel Prize ceremony takes place. 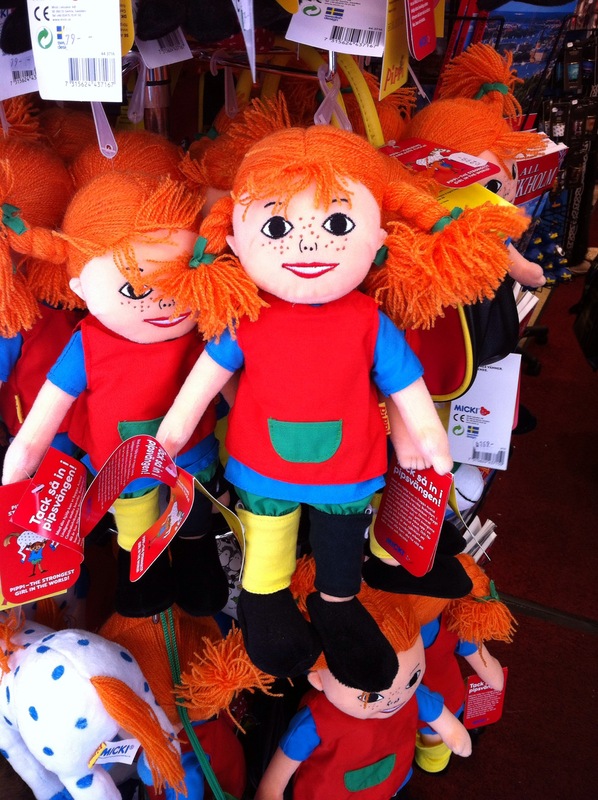 Sweden is also the home of Pippi Longstocking so there were all these dolls in the shops – very cute. Pippi Longstocking is the protagonist in the Pippi Longstocking series of children’s books by Swedish author Astrid Lindgren. Pippi was named by Lindgren’s then nine-year-old daughter, Karin, who requested a get-well story from her mother one day when she was home sick from school. Nine-year-old Pippi is unconventional, assertive, and has superhuman strength, being able to lift her horse one-handed. She is playful and unpredictable. She frequently makes fun of unreasonable adult attitudes, especially when displayed by pompous and condescending adults. Pippi’s anger is reserved for the most extreme cases, such as when a man ill-treats her horse. Like Peter Pan, Pippi does not want to grow up. She is the daughter of a buccaneer captain and as such has adventurous stories to tell. The first three Pippi chapter books were published in 1945–1948, with an additional series of six books published in 1969–1975. Two final stories were printed in 1979 and 2000. The books have been translated into 64 languages and adapted into multiple films and television series.